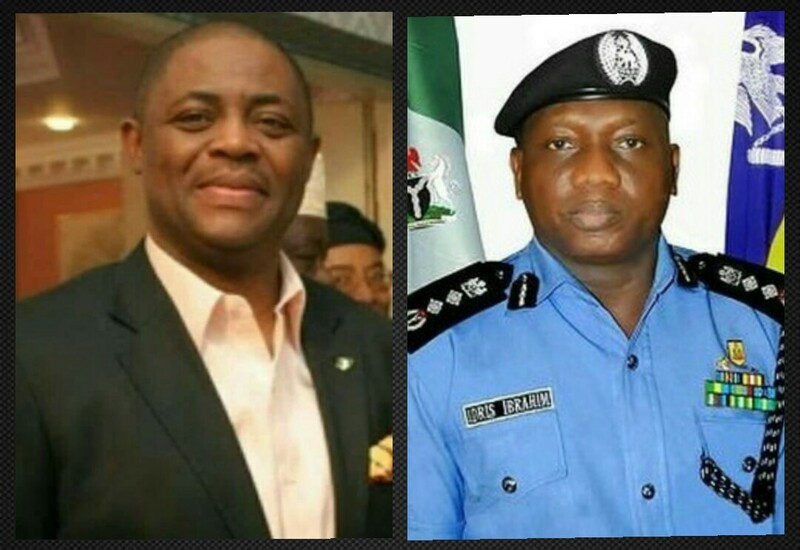 The former Minister of Aviation, Chief Femi Fani-Kayode, has reacted to the viral video of the Inspector-General of Police, IGP Ibrahim Idris, struggling to read a speech at an event in Kano State which the presidency is already denying, purporting the video was manipulated on. Recall that in the footage trending online, the IGP, who visited Kano on Monday to commission the Police Technical Intelligence unit in the state, struggled persistently to pronounce some of the words in his text. 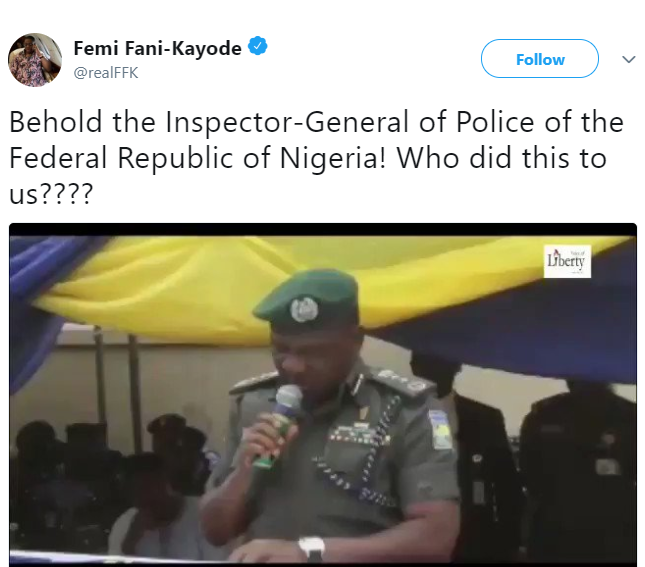 Reacting to the video, Fani Kayode wrote on twitter: Behold the Inspector-General of Police of the Federal Republic of Nigeria! Who did this to us??? ?